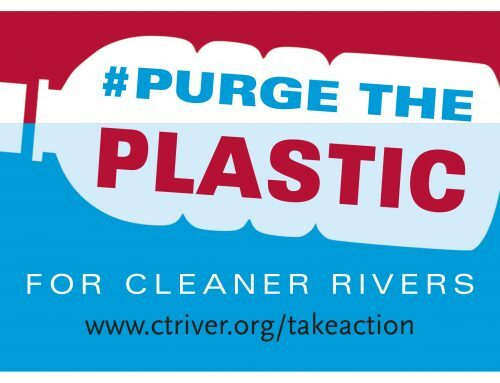 On behalf of the Connecticut River Conservancy, I write to urge enactment of H.751/S.490, An Act Promoting Safe Recreation in Public Waterways. 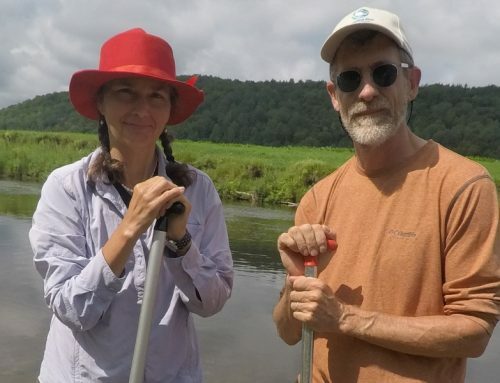 The Connecticut River Conservancy (CRC) is a nonprofit citizen group established in 1952 to advocate for the protection, restoration, and sustainable use of the Connecticut River and its four-state watershed. Before April of 2017, we were known as the Connecticut River Watershed Council. In the Massachusetts part of my watershed, there are approximately 60 municipal and industrial facilities with permitted wastewater treatment plants. Over the 15 years I have been in my position, there have been occasional sewage spills that have happened as a result of flooding, power outages, and other mishaps. Here are a few examples of incidents that occurred in 2018 after MassDEP started the practice of calling us when this happens. These are the kinds of events that the public would know about if this bill was put into law. On Friday July 6, 2018, we got a call from MassDEP that there had been a sewage release into the Connecticut River overnight from the Montague wastewater treatment plant (WWTP) – a lightning strike caused some sort of malfunction, and partially treated wastewater and untreated wastewater were released into the river. Because it happened on a reach that gets recreational use and was on a Friday, we decided to post the info we got on Facebook. Our Facebook post was shared by over 1,000 people, and it’s estimated by the number of followers and friends of those folks that shared the info that the alert “reached” over 100,000 people over the weekend. Someone from the Greenfield Recorder (a 6-day/week paper) saw the post and it was front page news on Saturday. The posting resulted in over 2,000 comments, and it indicated to us that this kind of news is of interest to the public, our Facebook followers, and our members. On late Friday, August 3 or early Saturday, August 4, 2018, the Northampton WWTP was struck by lightning and that triggered a sewage discharge. We found out about it on Monday, August 6. We re-shared a post from the City of Northampton. This re-shared post reached 322 people, was shared by only 18 people, with 5 comments. On Monday, November 5, 2018, we received word from MassDEP that there was a sewer break in Holyoke, resulting in a discharge of raw sewage into the CT River. We created our own Facebook post, because the City of Holyoke did not have any notification to the public. This post was reached by 34,599 people, shared by 431 people and commented on by 257 people. In addition, I was interviewed by several news outlets even though I was just the bearer of the news, and had obtained all my information from MassDEP and the City of Holyoke DPW staff. 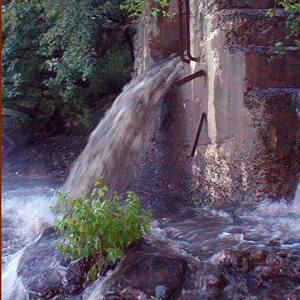 We also have regular discharges of untreated sewage discharging to the Connecticut River as a result of combined sewer overflows (CSOs). As of 2016, there were 59 CSOs that discharge into the Connecticut River, Chicopee River, and Mill River (Springfield) from Springfield, Chicopee, and Holyoke. According to the Massachusetts Integrated List of Waters, prepared by MassDEP every two years, the Connecticut River in this area is considered impaired due to pathogens. Water quality testing conducted by CRC and partner organizations has indicated that the Connecticut River does experience high bacteria levels, especially during and after wet weather, sites and results can be found online at http://www.connecticutriver.us/site/content/sites-list. It is currently difficult to obtain information about the annual volume of CSO discharges from these three communities. 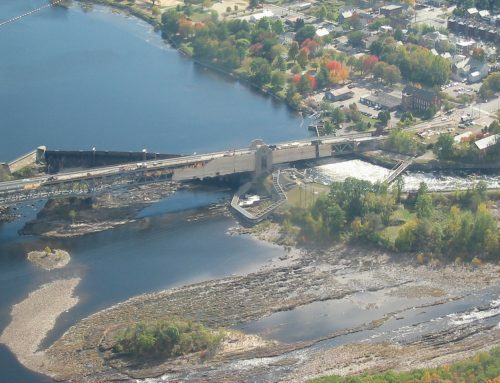 The NPDES permits for Springfield, Holyoke, and Chicopee require public notification and posting on websites, notification to interested parties, press releases, but to date, we have never received any information on CSO discharges or press releases, and we have not been able to find any of the required information on city or sewer commission websites. We requested the annual information from MassDEP and EPA last year, and found that they did not have all the information required in the permit. The new draft NPDES permit for Springfield, which has not been finalized, will have more rigorous public notification requirements because the Connecticut Department of Energy and Environmental Protection (DEEP) asked for it. H.2935/S.448 will institute a statewide public notification system, requiring CSO permittees to report discharges in a timely fashion. We recognize that the notification time frame is a problem for some operators. 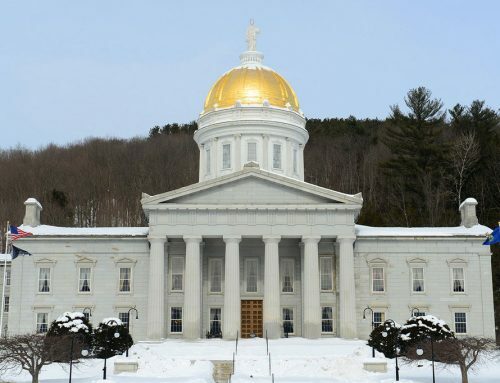 We think these details can be worked out as the bill moves forward, and we note that two other states in our watershed (VT and CT) have 2-hour and 4-hour notification requirements in their equivalent laws. In closing, we respectfully urge the Committee to report H.751/S.490 out favorably. 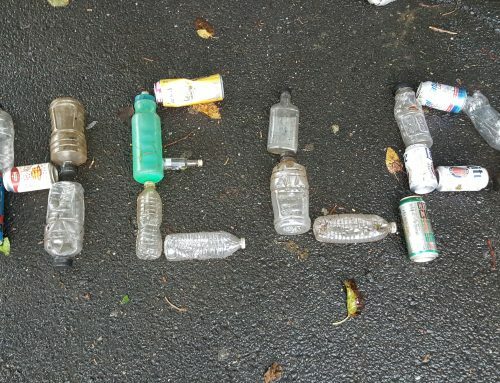 Massachusetts residents have a right to know, and they have a real interest in knowing, when they can recreate on their public waterways safely. I can be reached at adonlon@ctriver.org or (413) 772-2020 x.205.